1985 - Cowboys & Angels, liver chestnut TB colt out of Celebration. Owned by Natasha Powers/Powers Farm, FL. 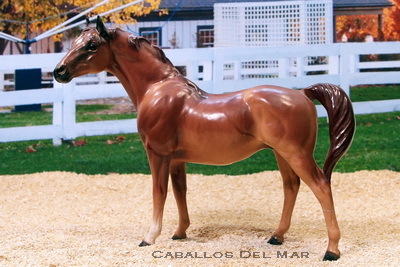 1986 - Avalon Melody Prince, chestnut tobiano American Sport Horse colt out of Rare Melody. Owned by Natasha Powers/Powers Farm, FL. 1986 - Kerosene Dancer, chestnut TB filly out of Pearl Dancer. Owned by Natasha Powers/Powers Farm, FL.